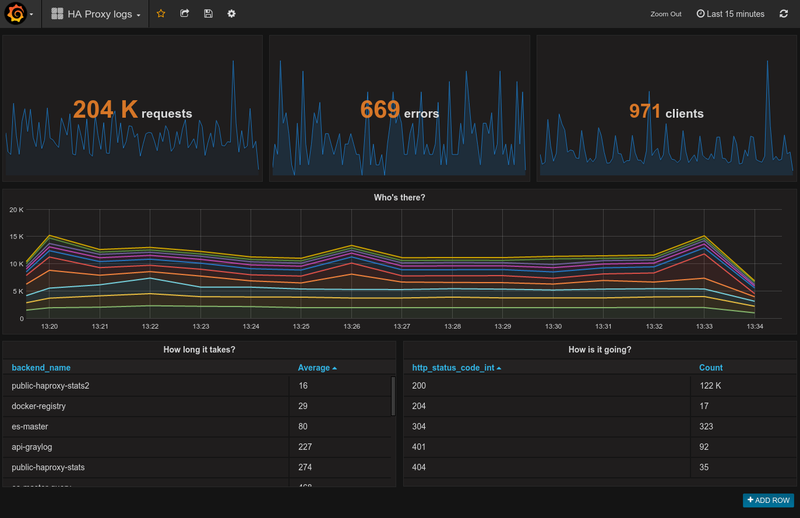 Grafana provides a powerful and elegant way to create, explore, and share dashboards and data with your team and the world. Since release 2.5, Grafana is able to communicate with Elasticsearch and so allow you to mix data from Logs Data Platforms and other data sources like IoT at the same place. This guide will show you how to achieve this. You have ordered the Kibana AAS or the Alias Option. Your have access to the port 9200 to your cluster (head to the Home page in manager to know the address of your cluster). So here you go, now Logs Data Platform knows what is the stream you want to browse. Now let’s configure Grafana and see if it works! Register your data source and test it. Now let's add a simple counter of your logs to a new dashboard. On the bottom right, select your datasource.